In 1998, Homeopathy, an effective system of alternative medicine, was practically unknown in Kenya. Thanks to the hard work of Abha Light Foundation, a growing infrastructure of professional homeopaths and alternative medicine practitioners are being established for the benefit of the people of Kenya and Africa. With a network of over 20 trained homeopaths practicing in urban and rural settings, Abha Light is much more than just “a clinic”. Abha Light Foundation has trained Kenyans and helped to establish their independent clinics around Kenya. These affiliated clinics serve the communities through affordable, accessible and natural medicine. We network with other NGOs, CBOs and clinics for educational workshops and clinical referral to provide cheap or free health care services using alternative and traditional medicine. Abha Light Foundation is a non-profit non-governmental organization officially registered since 2001. Meet our directors below. Didi (Sister) Ananda Ruchira has been the driving force behind this work since 1998. 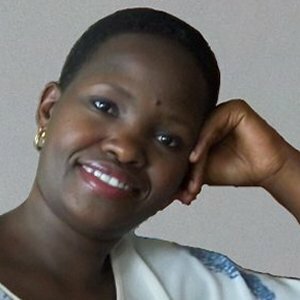 She is currently chairperson of the Kenyan Society of Homeopaths and a member of the national executive board of NATHEPA. Didi is a yogic nun of Ananda Marga for 40 years and a homeopath since 1997. Julius is one of ALF’s senior-most homeopaths. He helps by mentoring young homeopaths in setting up their practices. He brings to ALF his clear acumen in practice and the business side of the clinics. He is very active in his church. Rawi has extensive experience in management. He is a practicing homeopath and sports masseur. Rekha is our senior-most practitioner and a great healer in homeopathy, Bowen therapy, Nada, EFT and many other practices . She runs her practice from the Abha Light Therapy centre and shop in Westlands. • Effective in acute, chronic, traumatic, epidemic, and endemic diseases. • Safe and free of side effects so can be used at all levels including self-help. • It can be implemented in situations with very little infrastructure. • Even the poorest people in the world can afford natural medicine. • Natural Medicine benefits from but does not rely upon expensive diagnostic equipment. • Once Natural Medicine is established it just grows and grows. • In places where a doctor is two days walk, a simple self-help kit is a lifeline. In Kenya conventional medicines are expensive. Their high price puts them beyond the financial capacity of the lower classes and impoverished. As a result, hundreds of thousands of people are unable to afford or obtain primary medical care. This situation is aggravated by the overcrowded conditions in the slums that have almost a complete lack of elementary sanitation and hygiene. In some rural areas, efficient hospitals are few, the rural economy is low and it’s difficult for the populace to afford conventional medicine. The slums are where 2/3 of Nairobi’s 3 million inhabitants live. Water is scarce, sanitation and hygiene almost non-existent. Living quarters are usually 1 or 2 rooms per family of 5-15 people with no toilet or kitchen. Several families, totaling between 50-100 people, share the few toilets that do exist. There are open drains piled high with refuse and garbage at every turn. Often the so-called “streets” are only dirt paths that turn into rivers of sludge during the rainy seasons. Malaria, typhoid and sexually transmitted diseases are rampant. Diarrhoea, TB, skin diseases of all sorts, coughs and asthma from the dusty environment, parasite and worm infestation are endemic. Disease goes untreated among the poor in Kenya. And on top of all of this, AIDS has reached epidemic proportions. In Kenya 16% of the total population has HIV/AIDS, most of the victims living in the slums or rural areas. Natural Medicine means alternative and traditional medicine. Natural herbs and minerals are used in its preparation. The effectiveness of the remedies has been proven all over the world. But most importantly, it can be distributed economically. The costs of Natural Medicine remedies are low. An experienced Natural Medicine practitioner can treat dozens of patients for only a few dollars. Models for effective public treatment can be found in many countries around the world such as India, Mexico, USA, UK and South Africa where Natural Medicine works side by side with conventional medicine and provides an economical alter-native for the people. What is relatively little known is that in some countries Natural Medicine is being successfully used to control HIV/AIDS, with the result that the patient’s life span is dramatically increased, the quality of life improved and the he/she is able to live a relatively normal life.